One of the oldest heirloom varieties. 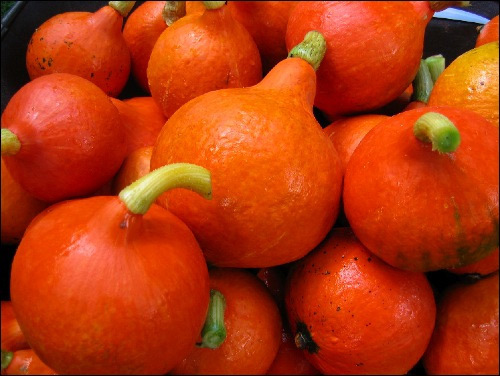 This long trailing sprawling, squash variety produces lots of round flattened heavily ribbed drum shaped fruit . 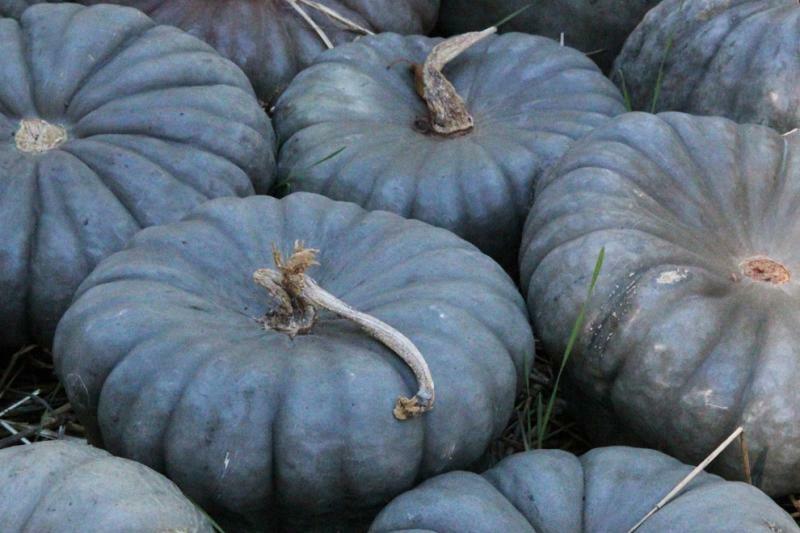 Slate gray colour hard skin when ripe with bright orange flesh, average weight about 7-15 lbs. Keeps very well , we are still selling last years crop on our market stall in February . Very much appreciated in Europe.